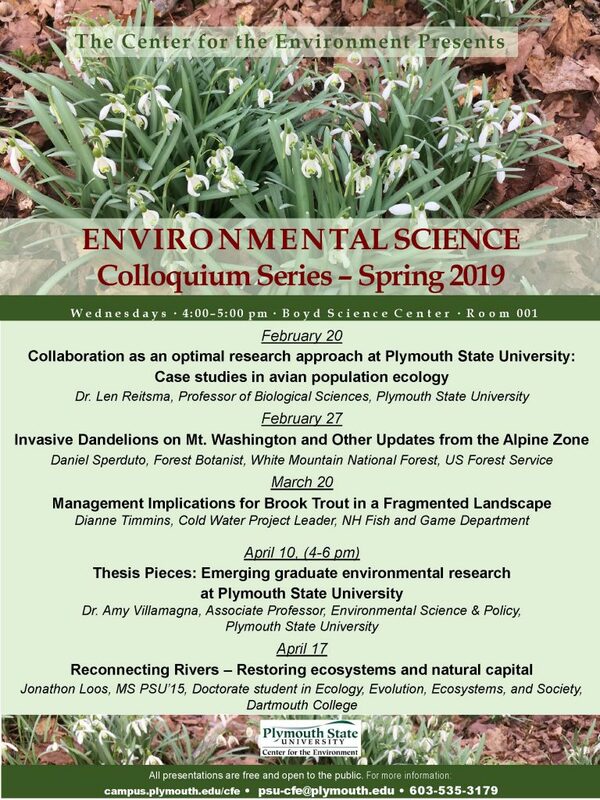 Please join us this spring for our Environmental Science Colloquium series. Talks are 4-5 pm (except 4-6 pm on April 10) in Boyd Science Center, Room 001. Please the public entrance by Highland Street. Thank you to all our speakers!